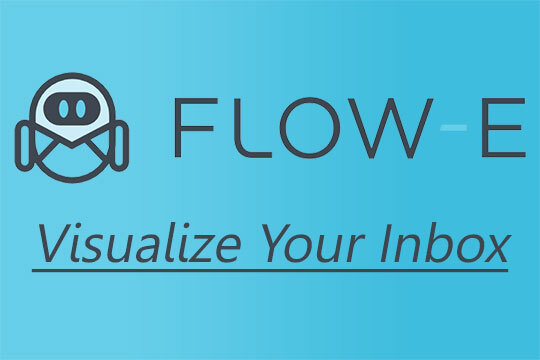 Flow-e is a platform which helps e-mail and task management. The application makes a complete transformation of your Gmail or Office 365. This technology is designed in such a way that it provides you with an unbroken workflow. This makes you and your team-mates more efficient, proving it to yield positive and fruitful results. By using Flow-e, there is no need for any other external workflow solution. Flow-e is basically meant for transforming the Gmail or Office 365 account inbox you use, into a platform that helps in the management of your professional tasks. 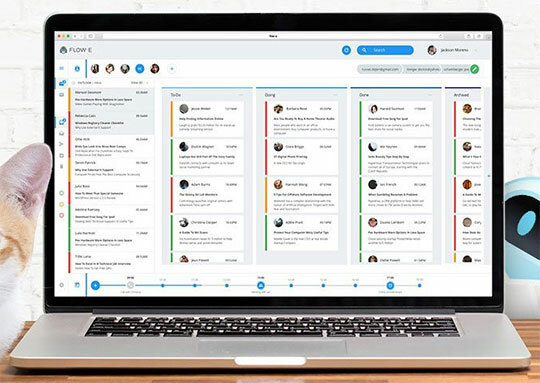 Here you can manage all your tasks, can have an overview of how your teammates are working; can track the progress of your team, the work-related messages shared within your group. This application also proves beneficial in order to chalk your schedules, manage deadlines, and manage your projects or tasks. The concept is based on the Kanban workflow, which is a system developed by the Japanese for managing manufacturing or development processes by means of a specified path of carrying out tasks in a well-mannered way. The basic motive of this technique is to visualize work0in-progress. It proves to be the best management platform for the professionals wherein they can assign tasks to their team members and keep a track of the work progress. It also helps in tracking the e-mail communications that take place within your team, schedule meetings, adding to-dos to your messages, etc. Flow-e also reads your calendar, imagining it as a timeline. With the help of this, you can get a quick summary of what is the upcoming task to be done, or events or meetings scheduled further. Scheduling meetings is no more a problematic issue, lessening the efforts to switch between screens to perform the scheduling. You can also add to-dos to your e-mails, in the same way as you do with the help of external task management tools. Flow-e can also be useful to set deadlines to your e-mails, as to when your projects or other tasks need to be completed. The target audience of this task management technique is a team leader, manager, CEO or a professional leader who want to get more productive with their significant e-mails. Flow-e proves to work in an amazing way for a freelancer who works on multiple projects at the same time. The basic pricing for applying to the package was previously $9 per month with a 14-day free trial. It is now available for free throughout. Recommended for you: The Squarest Time Management App You Can Get. In order to assign a task to your team member or the whole team, you just need to drag your e-mail that consists of the tasks to be assigned to your team and drop it to the Flow-e workbench converting it into a project-task. Once the task is accomplished, you are notified of the same by the application, hence you never have to bother about it at all. The real-time work progress of your team or team member is easily viewable on this workbench. Talking in detail, you can also have a look at who on your team has completed the tasks assigned to him/her, who is lagging behind; this proves quite helpful in tracking their work. Flow-e assists you to in getting the visibility of your each and every project and the related deadlines, thus making sure the level of your work performance. Flow-e is compatible with the operating systems like Windows, Linux as well as macOS. The service is available to the users based on the level of work model and is categorized as for Small Business purpose, Medium Business purpose, Freelancers, Cloud Hosted, etc. Flow-e has been awarded twice in 2017 by ‘Finances Online’. It had received the ‘Rising Star 2017 Award’ followed by the ‘Great User Experience 2017 Award’. Flow-e ranks in one of the top 100 Communication Software. It also has been positioned in the top 200 Project Management software products. In the listings of E-mail Management software, Flow-e holds the 12th rank, whereas it ranks 60th in the Task Management software rankings. You may also like: 10 Networking Tips for People Who Hate Networking. Hence, Flow-e can be designated as the missing link between where the tasks in an organization initiated in the form of communication channels, mainly through e-mails, getting it done in a well-mannered way. This gap is filled by bringing some major changes in the way in which the professionals work by simply transferring the contents in an e-mail to the easy to use Flow-e workbench.